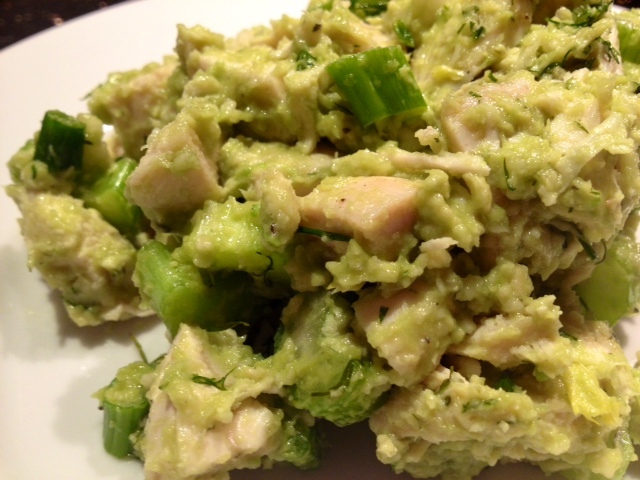 Protein Packed Avocado Chicken Salad. 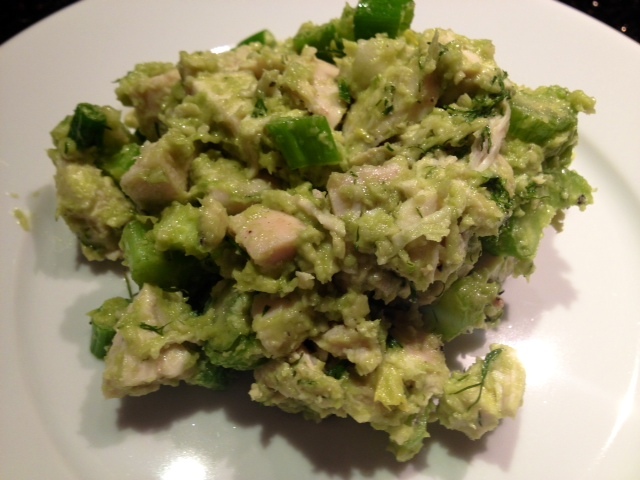 Avocado Chicken Salad With Green Onion, Celery & Dill. 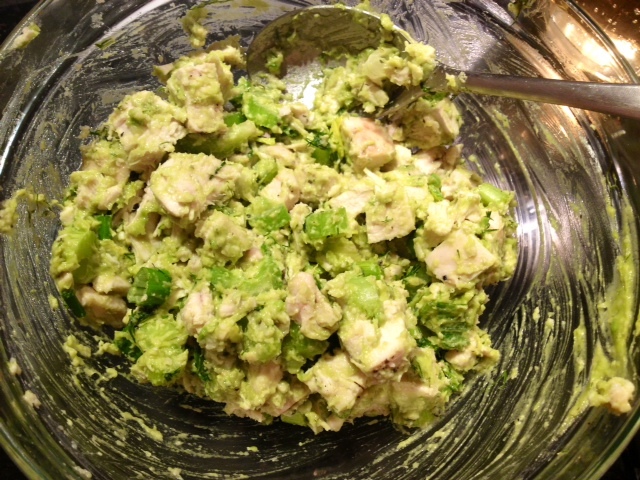 This healthy chicken salad recipe is packed with protein by using avocado instead of mayo. 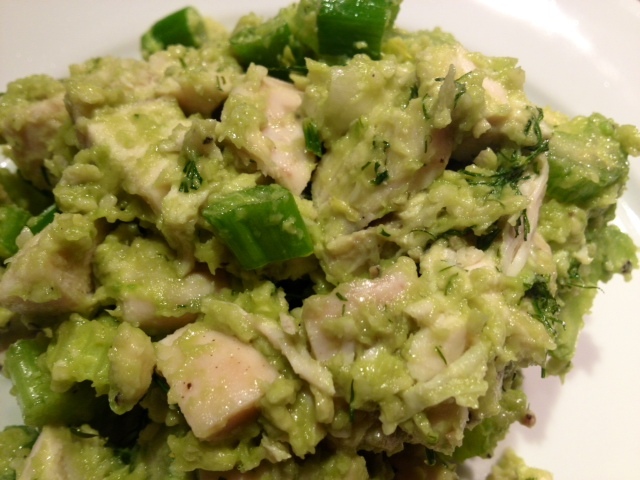 The dill adds a bright flavor, the celery and green onion add a great crunch. You can eat this chicken salad in a sandwich, with a salad or just on its own. 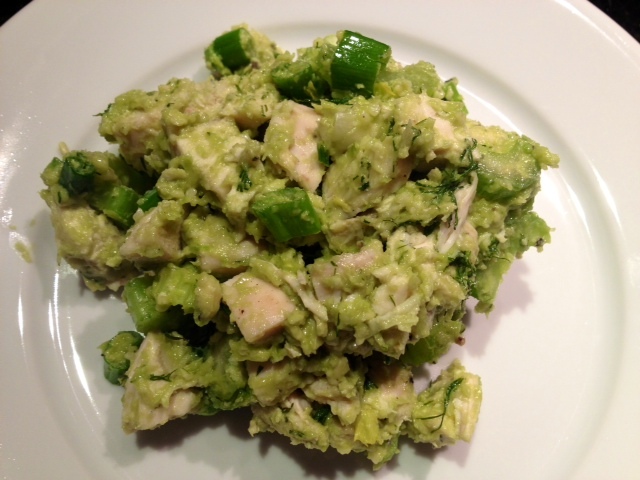 Any way you eat it, it’s super yummy and guilt free! To cook the chicken, place the meat on a baking sheet and season lightly with garlic salt and black pepper. Cook in the oven for about 20 minutes on 400 degrees. 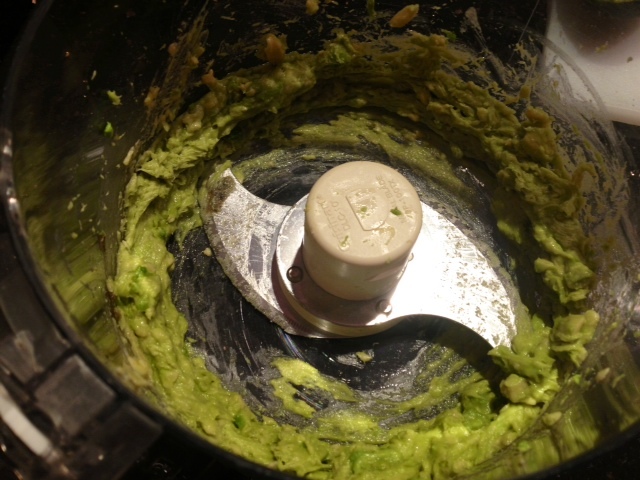 While the chicken is cooking, put the avocado in the food processor and blend until smooth. After your chicken has cooked and cooled down a bit, dice it into small cubes and put the meat into a mixing bowl. 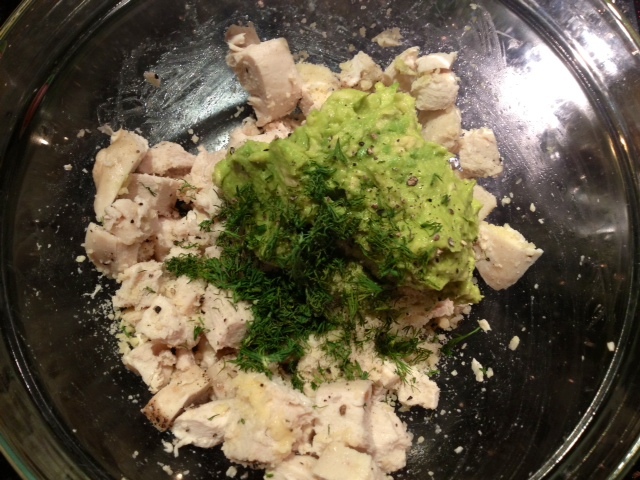 While the chicken is still warm, season with a dash of garlic salt/black pepper and add in the celery, green onion, dill, Parmesan and avocado and stir well to combine all of the ingredients.